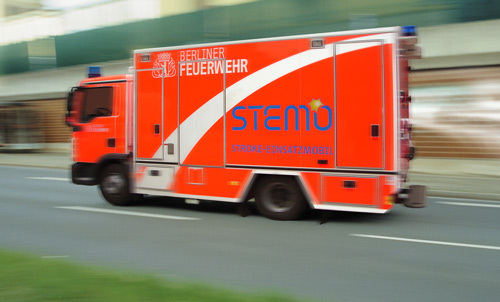 The STEMO concept is developed for optimization of the prehospital stroke care. It shows clear advantages over the standard channel of supply, under conditions of the real rescue operation. VIMED® STEMO is a specially equipped emergency vehicle with comprehensive telemedicine and medical equipment. The full diagnostic and therapeutic measures for acute stroke patients can be immediately initiated locally. For this purpose the STEMO vehicle is equipped with a mobile computer tomography (CT). All examination measures with the CT-scanner and the patient transport to the next stroke unit happens directly (compared to the other concepts) in the STEMO-emergency vehicle. The radiological DICOM-images are transmitted into the diagnostic location by means of an encrypted VPN-tunnel via fail-safe UMTS and LTE solutions or a satellite. Optionally, the radiological images can also be evaluated directly on the medical findings monitor installed according to the German Radiology Regulation (RöV) locally. Intelligent automatic switching between the available mobile networks provides VIMED® STEMO a high level of independence from the quality of the transmission networks. The STEMO solution is a mobile clinic with multimodal tele-consultation equipment for the complete emergency care of acute patients. 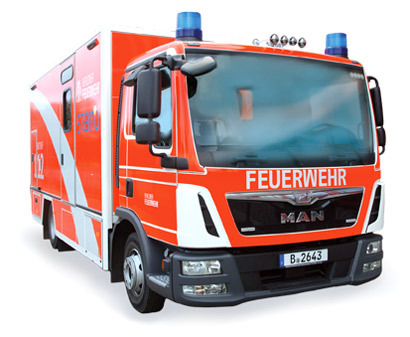 Constructed on the strict rules of rescue services the STEMO vehicle is today used under real conditions with real patients in the Berlin area. The patient location could be achieved here on average in 16 minutes to bring the stroke patients within 52 minutes (from the emergency call) to the next stroke unit. All lysable patients receive a treatment initiated directly in the STEMO-vehicle.